Investors should consider the features of the contract and the underlying portfolios’ investment objectives, policies, management, risks, charges and expenses carefully before investing. This and other important information is contained in the prospectus, which can be obtained from your financial professional. Please read the prospectus carefully before investing.Variable annuities are issued by Pruco Life Insurance Company (in New York, by Pruco Life Insurance Company of New Jersey), Newark, NJ (main office) and distributed by Prudential Annuities Distributors, Inc., Shelton, CT. All are Prudential Financial companies and each is solely responsible for its own financial condition and contractual obligations. Prudential Annuities is a business of Prudential Financial, Inc.
A variable annuity is a long-term investment designed for retirement purposes. Investment returns and the principal value of an investment will fluctuate so that an investor’s units, when redeemed, may be worth more or less than the original investment. Withdrawals or surrenders may be subject to contingent deferred sales charges. Variable annuities offered by Prudential Financial companies are available at a total annual insurance cost of 0.55% to 1.95% (depending on the product chosen) with an additional fee related to the professionally managed investment options. Note: All products may not be available through all third party broker/dealers. All references to guarantees, including the benefit payment obligations arising under the annuity contract guarantees, rider guarantees, optional benefits, any fixed account crediting rates or annuity payout rates are backed by the claims-paying ability of Pruco Life Insurance Company and Pruco Life Insurance Company of New Jersey. Those payments and the responsibility to make them are not the obligations of the third party broker/dealer from which this annuity is purchased or any of its affiliates. All guarantees, including optional benefits, do not apply to the underlying investment options. Your needs and suitability of annuity products and benefits should be carefully considered before investing. © 2018 Prudential Financial, Inc. and its related entities. 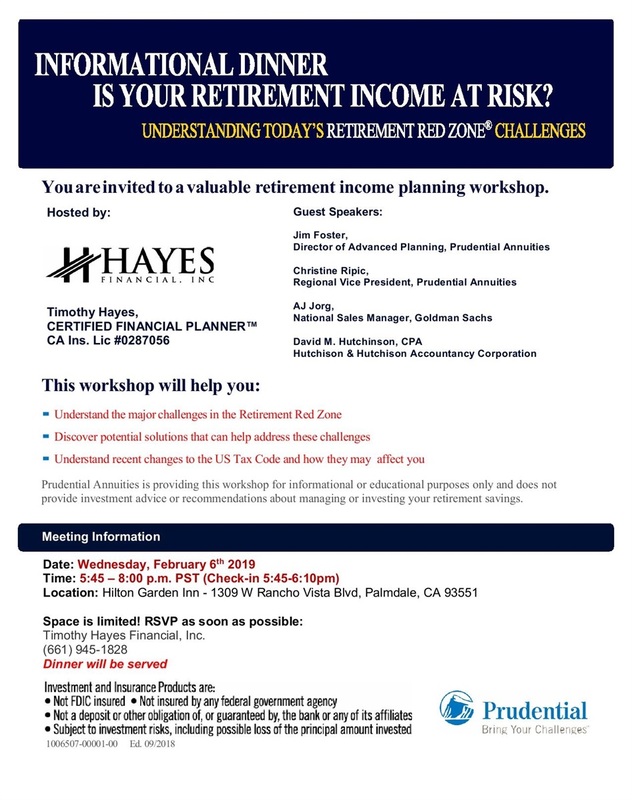 Prudential Annuities, Prudential, the Prudential logo, the Rock symbol, Bring Your Challenges, and The Retirement Red Zone are service marks of Prudential Financial, Inc. and its related entities, registered in many jurisdictions worldwide.